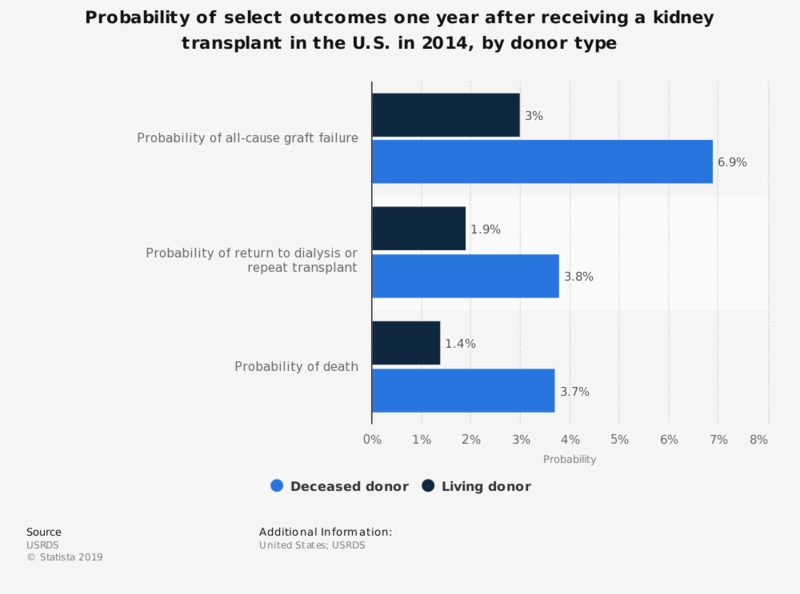 This statistic shows the probability of select outcomes one year after receiving a kidney transplant in the U.S. in 2014, by donor type. In that year, there was a 3.7 percent chance of death within one year of receiving a kidney transplant from a deceased donor, compared to a probability of 1.4 percent chance after receiving a kidney transplant from a living donor. Note that trends may be influenced by changes to the kidney allocation system (KAS) policy that were implemented in December 2014.